Is your e-shop suffering from usability issues? Usability testing is the most basic aspect or the most important step to assess success before venturing into any e-commerce business. It is often found that businesses spend millions of dollars on various tools and software to be used on the site, however they don’t do usability testing before launching their site. Usability testing is the most basic aspect or the most important step to assess success before venturing into any e-commerce business. If a website/portal is difficult to use, users don’t get the information they are looking for, it doesn’t showcase the products and services in an attractive way, customers’ will not waste time. E-commerce competition is intense today and consumers are not willing to invest time and effort in a particular site. They have multiple options and will switch to a site which satisfies their needs in a better way. To attract, retain and build a loyal customer base, you have to create an unforgettable shopping experience for the customers. A good UX will definitely lead to more satisfied customers and thus increase the conversion rate by building a loyal customer base. The Indian e-commerce industry has really intensified over the past few years and has witnessed a phenomenal growth of almost 50 per cent in the last 5 years. (Source: E&Y report on rebirth of e-commerce in India). It is growing at an approximate CAGR of 40-45 per cent and is anticipated that the Indian e-commerce industry will attain a valuation of $50-$70 million by 2020. The sector has attracted a lot of investment in recent times establishing the faith of investors in the future growth of the e-commerce industry. 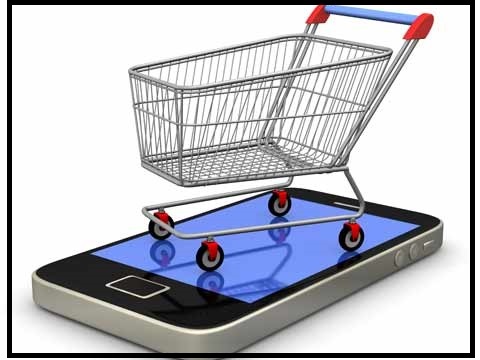 There are multiple factors that are contributing to this e-commerce success - penetration of internet, rapid increase in smartphone and tablet users, increasing purchasing power of people, rapid urbanization, multiple payment options, change in the mindset of consumers coupled with need for convenience and ease of use has led to the rapid growth of this sector. When we consider the Indian online travel sector landscape, ranging from airline and railway tickets to hotel bookings and online mobile recharge, all these verticals have witnessed humungous growth in terms of revenue and contributed almost 80 per cent of the revenue till 2011. Though the e-commerce war has reached a peak and companies are adopting various strategies to woo customers, be it offering discounts or easy exchange policies, the success of an e-commerce business depends on multiple factors such as in-house logistics of the company, location of warehouses, inventory management, and strong delivery infrastructure. The most basic aspect is a good website and a secured payment gateway. The website is the virtual store for any e-commerce customers. So the website should not only be aesthetically appealing, should be user-friendly and accessible so that customers can locate products & services at ease and don’t leave the site irritated. 1) Persuasion: It should be able to persuade, convince customers to buy products and services, ensuring it would be quality products and the buying process would be hassle-free. 2) Emotions: The products and services should be displayed in a way that customers should get emotionally connected. 3) Trustworthiness: The customers should be confident about the genuinity of the site. A business owner should know that it is not the fancy graphic designs that will woo customers, but it is the accessibility of the site that will attract and retain customers in the long run. The website should be user friendly and ease to navigate, where customers can easily locate products and services with minimum number of clicks. It should be efficient – faster to load, minimum response time, should be error free and responsive (should work on all devices and OS). It should have multiple payment options and the payment gateway should be secure. · Aesthetics or chosen creative concept SHOULD NOT overshadow functionality. · It should enhance the online brand and user experience. • Instant access to search tools, areas of interest, login and exit points. • User can jump from one section to a specific area anywhere within the site. • Quick Link access to widely used tools and functions. • Functionality and aesthetics should be consistently enabled across multiple online channels, platforms, devices and browser variations. • Utility driven tools and help functions consistently placed throughout the site. • Consistent colour, navigation and interactivity. • Information organized in intuitive and related groupings. • Primary functions to be prominently displayed. • Indicate where the user is in the process. • Step wizards enable users to better accomplish goals. • Colour coding indicates where the user is in specific sections. · Provide access for all types of users such as Customers, Prospects, Mobile workers, Disabled persons, etc. • Simple and functional design. • Simple, brief and intuitive labels and naming conventions. • Short compelling copy blocks and limited scrolling. • Complex pages should be broken down into smaller sections. • 1.0 seconds is the limit for the user’s flow of thought to stay uninterrupted (no feedback necessary, but users will lose the feeling of operating directly on the data). 10 seconds is limit for keeping the user’s attention focused on page (for longer delays, percent-done progress indicator should be used). • Optimize graphics and minimize use of un-necessary graphics to improve download time. • Simplify the number of steps needed to perform tasks. • Customization – Users can change the experience and preferences to better meet their needs. • Personalization – Present content based on profiling and previous user behaviour/ interests. • Pre-populate form fields save repetitive tasks. • Don’t make logging mandatory. Many customers don’t want to fill-up forms and leave personal information behind. • Keep signing-up as optional and simple – users can sign-up with their e-mail id or they can log-in with their social media user-id. • Display same product in multiple menus, if relevant. • Group same product in different menus as long as they are relevant. For example - Sneakers can be categories both under Men and Sports and Fitness. • Helps to persuade a customer to buy other product ranges. • Enables cross-sell and upscale. • Helps the customer to evaluate and take quick decision without much effort. • Answers 3 Ws for the user - Where he/she was? Where he/she is? and Where he/She can lead to? • Very rarely does technology change user behaviour. • Technology actually just enables user behaviour that was desired all along UI interactions making stronger connections between the physical world and the virtual world. • Live Filters: Helps users get to the desired content by filtering the results. • Fat Footer: Fat Footer can provide an overview of the website and inspire users to continue browsing. It will increase user stickiness. • Social Media Integration: Increases the reach, a great way to create a connected experience for your target market. • Global Search: Helps users to find information more easily. • View By: User can select the way they want to see the data. Example grid view, card view, customised grid, live filters, etc. • Responsive design: Should be able to open in multiple devices and platforms. • Community Driven: Wiki, Vote to Promote, Blogs, social community etc. • Smart Forms: Forgiving Format, Structured Format, Fill in the Blanks, Input Prompt, Good Defaults, Captcha, Inplace Editor, Live Preview, Password Strength Meter, Input Feedback, and Calendar Picker etc. • Carousel: User needs to browse through a set of items and possibly select one of them. The user can scroll through many list items without scrolling up or down. The user can browse through the images by clicking on left/ right or up/ down arrows.